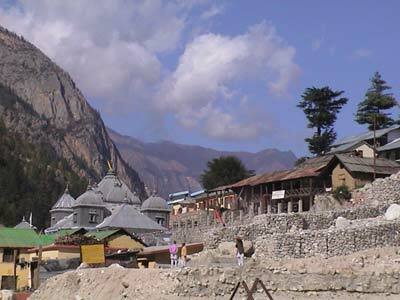 Gangotri, the beautiful religious site for the Hindus, is the best place for various adventure sports as well. This ancient place has a mythological importance attached to it thus making it one of the most sacred places for the pilgrims. 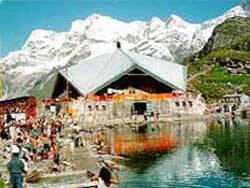 It is actually the place, which is the source glacier of the biggest, and the most sacred rivers of India, the Ganga. <br />According to the legend, King Bhagirath wanted to bring the great river Ganga from the heavens to the earth to wash the sins of his predecessors. After a great penance Lord Shiva was pleased and on his behest Ganga came rushing down, but had she come with her full force the earth would have been devastated, therefore the initial force was taken in Lord Shiva&apos;s matted hair locks and then the great River came down. At that point the Ganga is known as Bhagirathi. A temple was erected here by Amarsingh Thapa, a Gorkha command in the Garhwal region in the 18th century. Perched at an altitude of 3200 mts above the sea level at the foothills of the Himalayas, Gangotri is nearly the northernmost tip of the state of Uttaranchal. 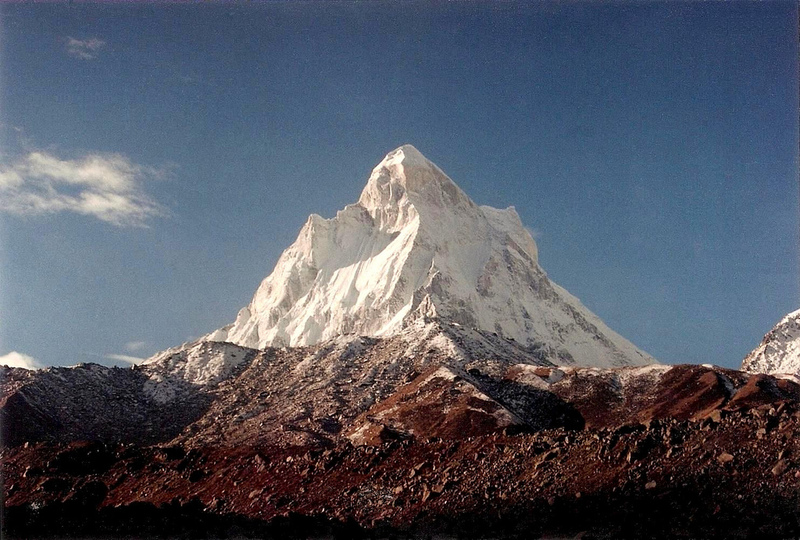 Located in the area, known as Garhwal, Gangotri is about 300 kms from the state capital Dehradun. An excursion can be taken to Harsil, a small town near Gangotri. It has a typical British ambience and the Sat Tal or the site of seven lakes is worth a visit. 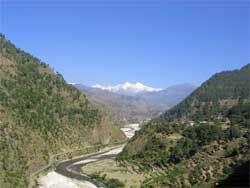 Another most revered place in the area is the Uttarkashi, which is as important as Varanasi. Around 100 kms from Gangotri, en route to Uttarkashi is the most beautiful valley of Bhaironghati. This picturesque valley has a confluence of rivers, Bhagirathi and the Jat Ganga and also has a temple dedicated to Bhairaonath. 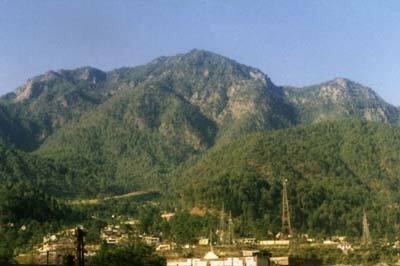 Near to Uttarkashi is another important of the four sacred places, the Yamunotri. 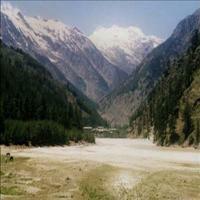 Yamunotri is the source of River Yamuna. 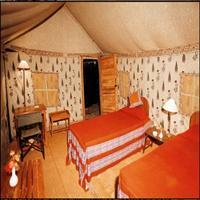 Uttarkashi is the best place for trekkers, hikers and adventure sports enthusiasts. The one who would like to explore the natural surroundings has a feast to explore. 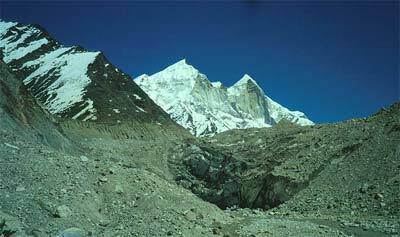 The most famous site nearby is the Gaumukh (literal meaning, cow's mouth) glacier, which is at an altitude of 4200 meters above sea level. 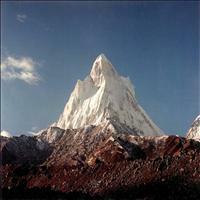 It is the geographical origin of the Ganga and is at a distance of 18 km from Gangotri uphill. The 18 km trek is a tedious one and the people go there on foot or on ponies. The snout is held in high esteem by the pilgrims and they do not loose an opportunity to take a dip in the sacred waters. The submerged Shiva lingam is another religious site for the pilgrims, which has a natural rock in form of the Lingam, visible only during the winter months. It is said that the Lord received the force of the River in his hair locks at this very spot.